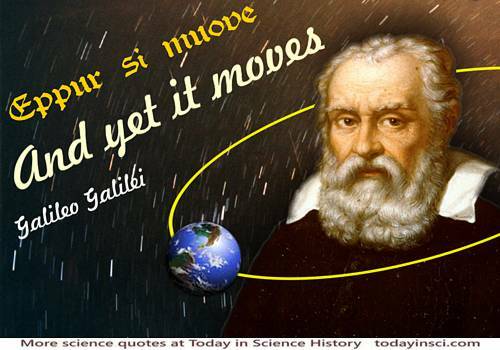 After he died, and to the present day, Galileo has remained a cause celebre. Early biographers expanded what facts were known with their own interpretations, which were then recirculated and further embellished by later writers. 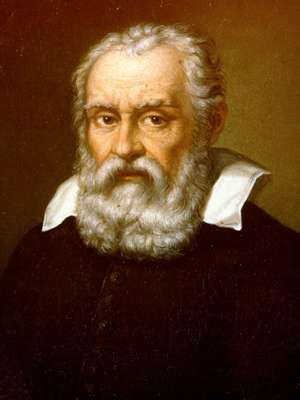 One possible or probable fabrication that has endured for centuries is the idea that as Galileo rose from his knees after reciting the abjuration, he whispered under his breath the phrase, “E pur si muove,” (It moves, nevertheless) indicating he still believed that the Earth is the body that moves around the Sun. Since he certainly would not have wanted those attending his abjuration to have heard such a sentiment, it remains unclear how such an utterance could have been witnessed for history. The Vatican took more than 350 years to rectify the injustice, but on 31 Oct 1992, after years of study by a commission, Galileo was finally rehabilitated. Pope John Paul delivered a speech to bring religious faith and scientific truth back into harmony. 1 Jules Speller, Galileo's Inquisition Trial Revisited (2008), 343-345.